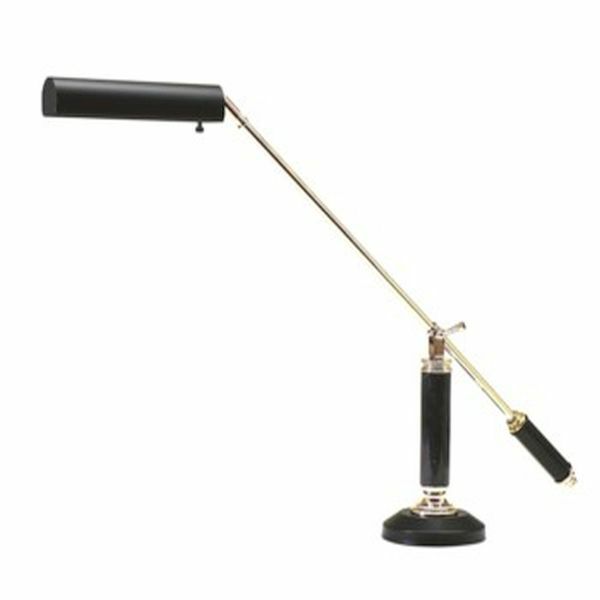 Elegant House of Troy Grand Piano Counterbalance Lamp in Polished Brass with Black . Sits on either side of your Grand Piano Music Desk to light up your music. HEIGHT....Adjusts from 0" to 21"